A contributing article by Mr. Wilbert Odisho, the Master of Ceremonies and a member of Mesopotamian Night Production Team. It’s rare to find the perfect medium to showcase your national talent while helping a very important cause. It’s been a privilege to be part of the Assyrian Aid Society’s Mesopotamian Night event that exactly does that. Building on the success of the previous year’s events, the dedicated team of volunteers are at it again – preparing for another history-making, record-setting event. 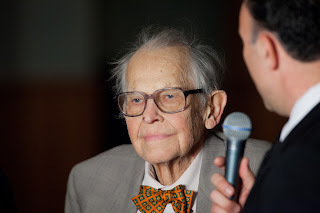 As soon as the 2012 show was wrapped up in February 2012, the team began working on the June 15, 2013, program, marking the sixth annual event. The team, led by the visionary Tony Khoshaba, begins its working meetings by reminding everyone the reason for the event – to raise money for the Assyrian Aid Society which has funded reconstruction programs, education programs and medical projects in the homeland. After that, the talented Fred Elieh takes over developing the content and bringing together a large ensemble of cast members. Sargon Alkurge starts to discuss the financial details and budgets. I begin working on the show logistics, venue selection and the other aspects of the event. We set the framework for what we believe will be an event that will make another everlasting impression on the audience. We then start to contact our network of friends, family members and passionate nationalists to ask for help in producing the rest of the show. That is where the fun begins! Due to the precedent-setting solid content of the previous years’ show and the worthy cause, it is rare for any individual to refuse to be a part of the program. People from all walks of life come together to lend a helping hand to the project. In many cases, hundreds of hours are dedicated to the show by each individual and to top it off, most cast members also financially donate to the cause. The audiences are eager for another show that established a new standard for the Assyrian Arts . . .
We are hoping that this year’s show sets a record in attendance and fundraising. Our intention is to gather the largest Assyrian Choir ever assembled outside the Middle East to sing classic Assyrian Songs. We will be showcasing the works of Rabi William Daniel, Rabi Nebu Issabey, the songs of Rabi Yacoub Bet-Yacoub and the songs of the legendary, beloved Shamiram Urshan and Biba. We can’t do it alone. It takes you, me and the rest of our community to bring the show together and gather the audience for it. Please feel free to contact us if you would like to donate your time, become a sponsor or support the program in any other way. We’ll see you when the curtain goes up on June 15, 2013 . . . The Mesopotamian Night 2013 public kick off meeting will be held on Sunday December 23rd from 2 pm to 4 pm at the Adobe Building of the Assyrian American Association of San Jose. The building is located at 1352 Lincoln Ave, San Jose 95125. The Mesopotamian Night Team is inviting all interested individuals and talents to participate in this meeting so they can get an idea what the Mesopotamian Night project is and see if they would like to be part of this important Assyrian production in Bay area. The Mesopotamian Night events have transformed the outlook and expectations about the performing arts. The 6th annual event is expected to push this outlook further ahead and contribute even more to advancing our Assyrian arts and culture. The December 23rd meeting will cover among other things a brief introduction of Assyrian Aid Society of America mission, a history of Mesopotamian Night project, and an introduction to Mesopotamian Night 2013 event, its content and the rehearsals. Congratulations to our Executive Producer, Mr. Tony Khoshaba, for receiving the 2012 Assyrian Aid Society of America's Award of Recognition and honor his hard work and passion for the success of the Mesopotamian Night project. 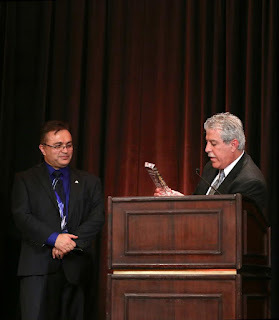 The National President of the organization Mr. Ashur Yoseph presented the award in a ceremony at the Annual "Narsai's Taste of the Mediterranean" on Saturday, Dec. 8, 2012 at the Ritz Carlton Hotel, San Francisco. 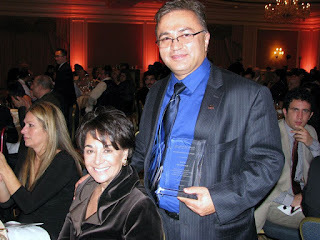 Attendance included the honorable congresswoman Anna Eshoo, San Francisco Mayor Ed Lee, and guests from across the USA. 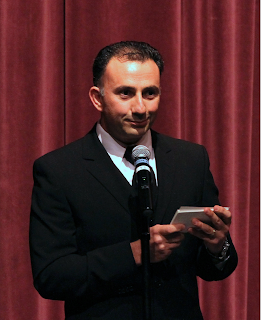 Mr. Khoshaba is dedicating this award to all of the Mesopotamian Night project team members, the contributing artists and sponsors. He is looking forward to even more exciting project in future. 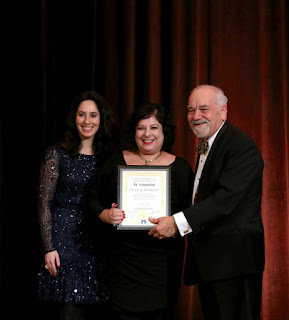 Another contributor to the Mesopotamian Night project that received an award at the same event was the Presidio Performing Arts Center founder and Executive Director Mrs. Judy George Bretschneider, pictured with daughter Sherene Melania, Artistic Director, who received the Assyrian Aid Society of America's Award of Recognition for creation of Presideo Dance Theatre, sharing culture, and passion for the arts. Presenter of the award was the AAS-A Chairman of the Board, Mr. Narsai David. 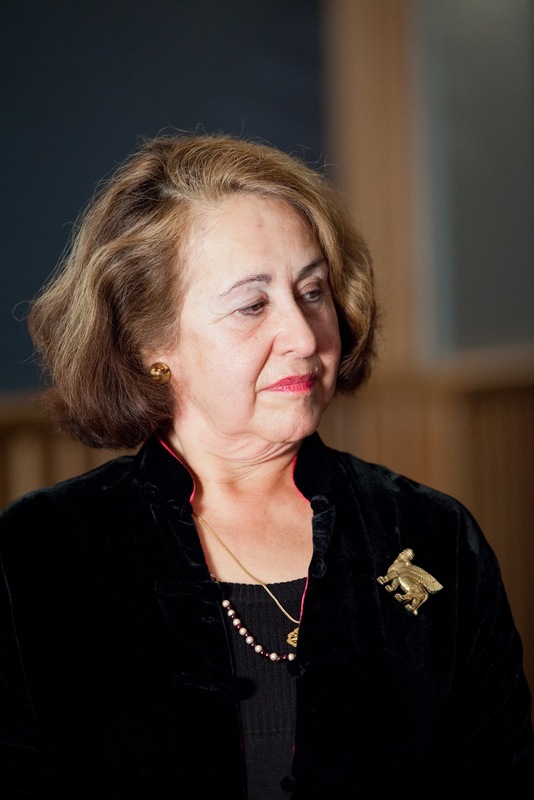 "Dr. Eden Naby has been supporting and sponsoring the Mesopotamian Night project since its inception in 2007. The Mesopotamian Night project received $17,000 grant from Naby Frye Assyrian Fund for Culture for MN2012 project and without this grant the creation and production of Malek Rama: The Handsome Prince musical would not have been possible. For our 2013 project, Naby Frye Assyrian Fund for Culture has granted us a $10,000 grant. We wholeheartedly appreciate these generous contributions. We are hoping to attract more sponsors and supporters like her so we can continue to expand this important cultural and arts project." Taking the lead in promoting Assyrian music for art and entertainment, Mesopotamian Night, under the energetic persistence of Tony Khoshaba is revving up to bring us the 2013 event that more and more people across the United States and Canada are awaiting. Keep June 15 on your calendar, bring family and friends, and let us make this annual event to gather family from the far corners of our diaspora. But as much as I admire Tony’s efforts and the enormous coordination it takes in time and devotion from a family man with teenage children (and a patient and supportive wife) to do this work, I am as grateful for the Assyrians up and down the California coast who work cooperatively to promote this one night event. With all the effort, it should certainly run for a week. And it should travel to other locations like Phoenix, Chicago, LA and Detroit to inspire all of us, in all corners of our North American diaspora as we mourn the loss of homeland, devoted parents who brought us up Assyrian, and the dispersion caused, ultimately, by genocide and the prejudices of our neighbors. Now as we head to the end of another tax year, it is time to remind ourselves of the importance of retaining our culture, in all its diverse branches: history, music, art, poetry, performance. Our financial support can be demonstrated to this Mesopotamian Night effort by our presence at the event, by purchase of the DVDs and CDs of the music (not nearly as vivid as watching a cast of dozens perform Malik Rama Lakhuma last February 18 in San Jose), and through outright donations. I urge you to join our tiny Naby Frye Assyrian Fund for Culture in sending your $1000 and up donations to this tax-exempt organization, the Assyrian Aid Society, specifying use for Mesopotamian Night. Maybe if enough of us donate, we can persuade the AAS to forgo that interminable auction intermission. And if the AAS, and that lovable man who makes even these auctions bearable, can pledge specific amounts to the promotion of culture on the Nineveh Plain, so much the better. We are so grateful for his participation and support. Thank you Malpana!